END OF SUMMER SALE-UP TO $10,000 CLOSING COSTS ASSISTANCE WITH SELLER'S PREFERRED LENDER/CLOSING COMPANY. Restrictions apply. Ask real estate agent for details. Grande Pointe offers Florida coastal living at its finest...from the moment you enter this beautiful subdivision, you feel like home. Tree lined streets, resort style pool, and a picturesque dock help to make this one more reason to come home to. 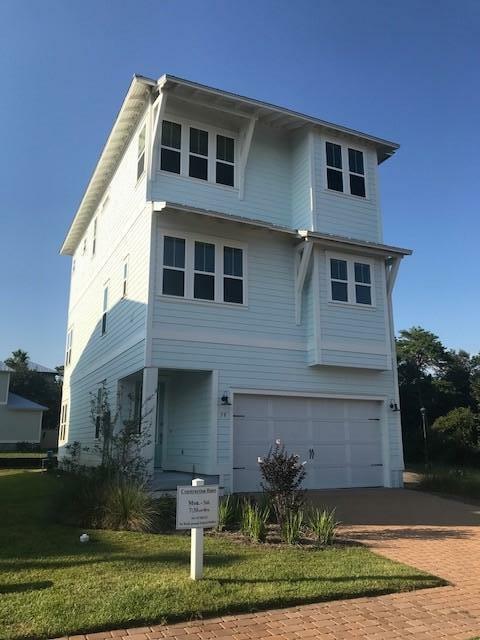 This 3 Story Captiva plan comes standard with an elevator!! Balcony's grace each level of this home, ample storage space throughout the home and hardwood floors on the first, 2nd and hallway of the 3rd floor. The Master bathroom boasts quartz counter tops, separate tub and shower, along with a nice walk in closet and huge linen closet.